Pay no attention to the fact that Shadow says this award is for Dennis, I’m sure that’s just a typographical error. * as a dedication for those who love blogging and love to encourage friendships through blogging. Tony, who has been according me the respect I deserve as a super-hero and as a vizsla dog who never ate Flat Tony. And The Thundering Herd, who were so overwhelmed by my mighty flexing yesterday that they were rendered speechless. It’s okay, Thundering Herd, I have that effect on people all the time. What a big box! 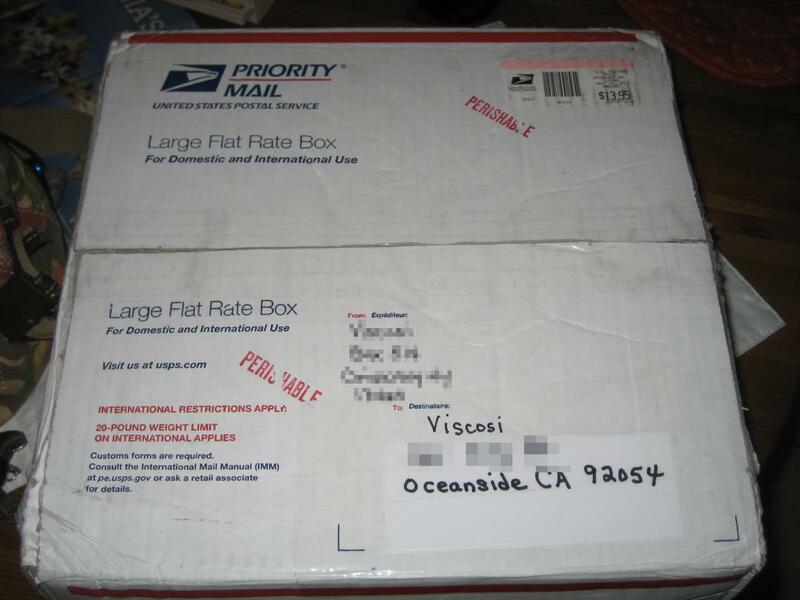 It is definitely bigger than any of the boxes that arrived when Dennis was in charge of this blog, which only makes sense of course. 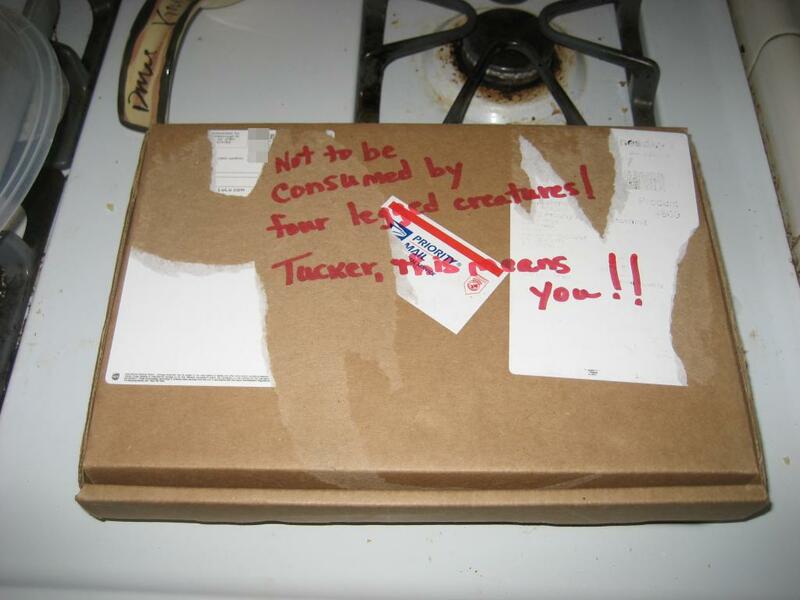 Let’s find out what’s inside! As you can see, inside the big box is another box, which … um … well I am sure there is nothing inside that box that I would have wanted to eat anyway. Even if it does smell like cookies and brownies. This concludes today’s awards and meme show! 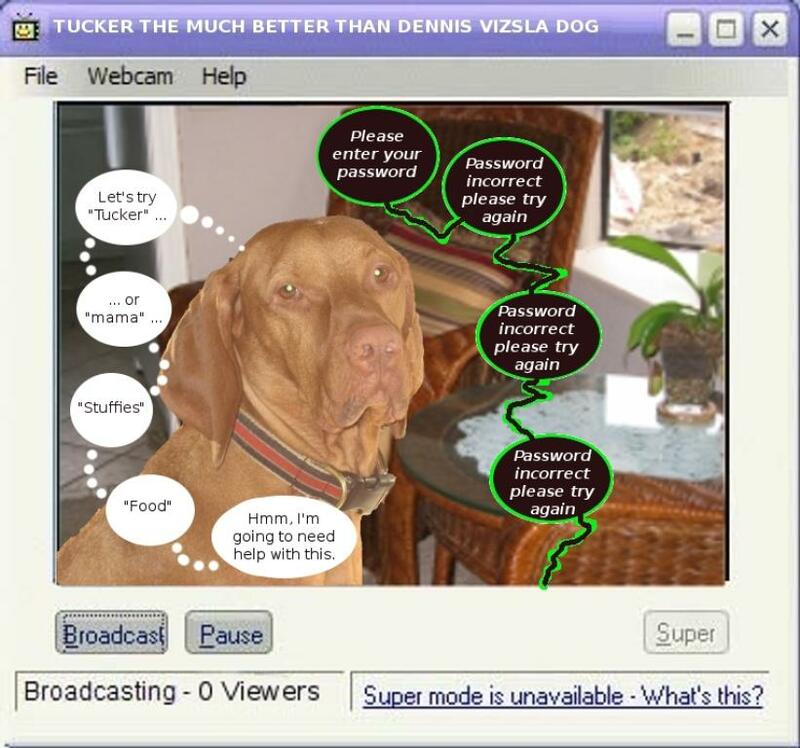 Be sure to tune in tomorrow, when the adventures of Tucker the Much Better Vizsla Than Dennis will continue! Congrats on that very nice award. You know some use “password” as their password – who knows it might work. Well, Dennis came by my blog and so I came here looking for him but low and behold… I found Tucker instead! Well Tucker, tell your bro Dennis I said SUP and thanks for visiting. HEY Tucker, old buddy! I would like to sell you some FREE ad space over at my blog to help promote your blog and win over Dennis’s friends (since it seems like the comments are slowing down a bit). 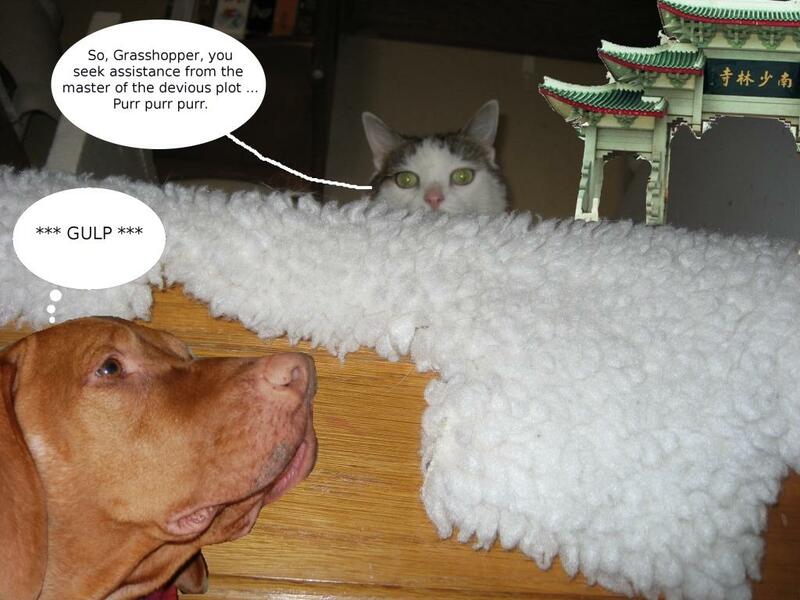 This will convince everyone that you are indeed the better, smarter, more dapper, well breed and adventuresome Vizsla. Now all I will need is your Blog URL and your password…..
Tucker! I am glad you took over from Dennis. He was too crazy for me and he talked funny. Nothing but trouble. I like to read stories of more mature doggies. Dexter here! Don’t believe a word the beastie says. He thinks he is all mature and clever like Tucker, but he is really a scatter brain goof ball like Dennis. The truth hurts, huh, big guy? Stella and 63 of her closest, dearest friends! We missed it… where did Dennis go?! Oh, dear. Oh, deary dear. Congrats on your award and your gift! aaaah, good reasons to like blogging there!!! Well, I sure that Dennis is gonna eventually force you out Tucker, or maybe you will get bored, so I hopes he doesn’t hold my changing sides against him, but I likes your style! Never mind all that stuff about passwerds and whatnot. Lets talk bout the reely important part of this post. How menny treets wuz in that boks??? I don’t think you actually can pass on other people’s blogawards, Tucker. Not unless you are the kind of dog who would also steal all their other stuff, too, like dinner and stuffies and blogs… OH, WAIT!!! wow Dennis, desperate times call for desperate measures for sure! I can only hope you are successful. Perhaps you can get one of those computer smart people from that show 24 to help you put a keystroke program on the computer so you can figure out the password??? Hmmm Dennis, why did you let your silly bruva take over? Or did he storm your empire and take charge? ?